1. His pedigree stacks proven calving ease; in fact he has been used successfully on angus heifers. 2. Moderate with flawless phenotype and structure he is backed by a powerful cow family. 3. 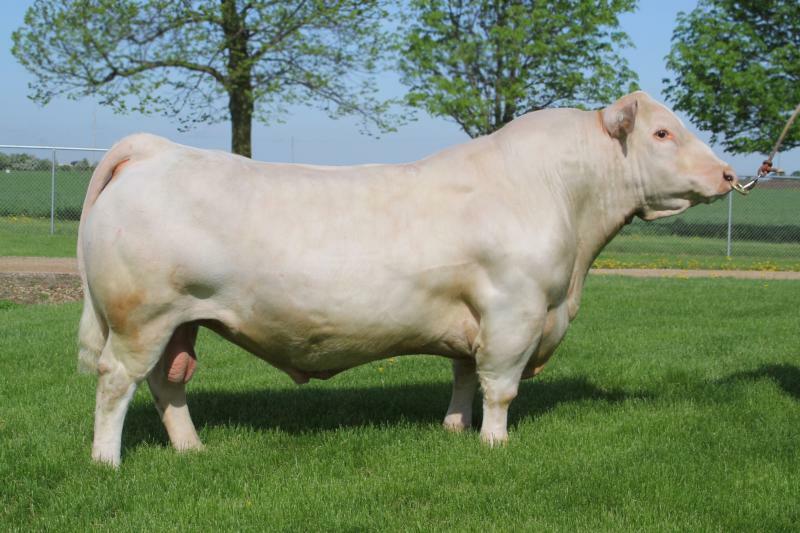 His first calf crop produced the Grand Champion Bull at the American Royal National ROE Charolais Show.